CanJam Singapore has cemented itself as a monumental event in my calendar year. Meeting audio’s greatest pioneers and my fellow enthusiasts is an opportunity I will never take for granted. 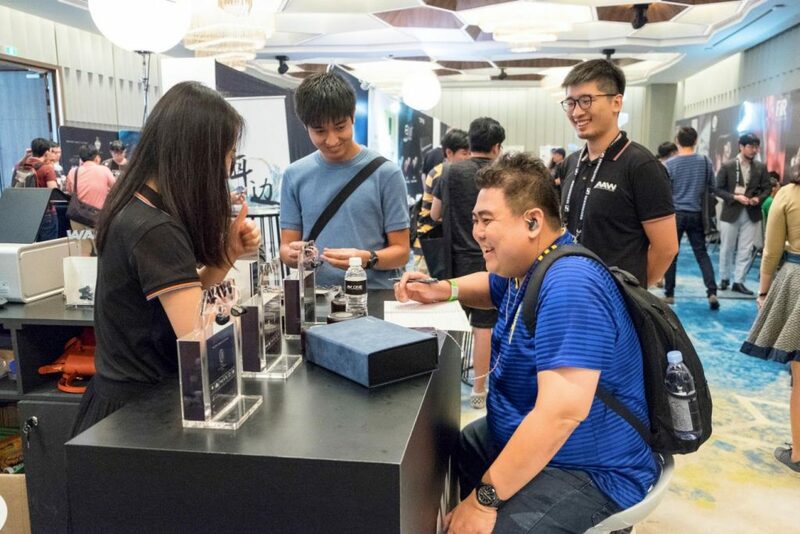 As is always the case with the CanJam Global Team, they’ve managed to make CanJam Singapore 2019 the biggest one yet. This – and the fact that I could not attend the Sunday show due to prior commitments – meant that I could only focus on my forte: In-ear monitors. Although I wished I could’ve spent more time with Hidition, qdc, Fender and Westone, I did feel I covered a fair bit of ground. 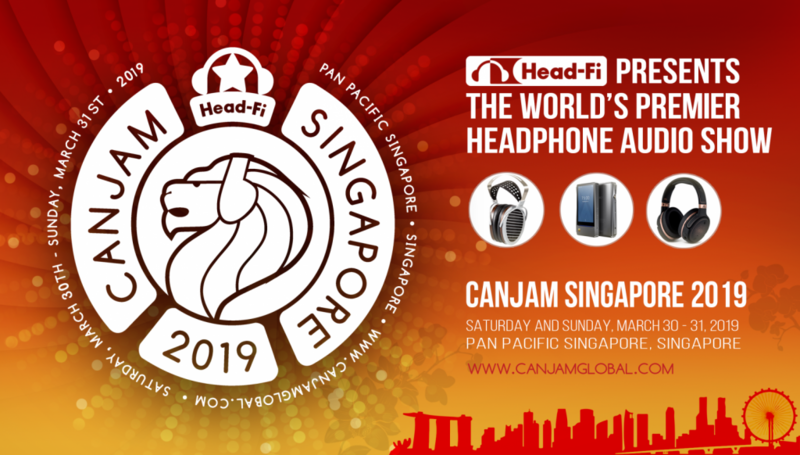 So without further ado, featuring 20 brands and over 30 products, this is my in-ear article for CanJam Singapore 2019! Advanced Acousticwerkes (or AAW, for short) have found themselves embodying the show’s identity in more than one way. 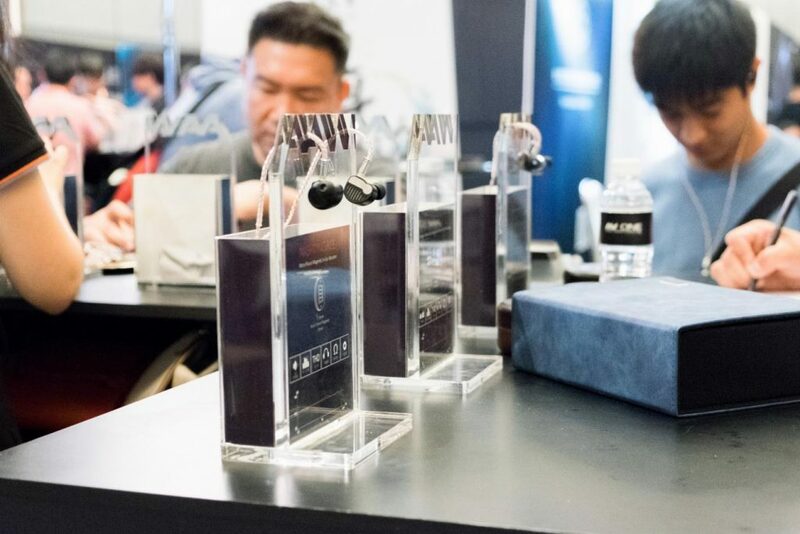 The Singaporean in-ear manufacturer are renowned for being one of the first proponents of hybrid technology in custom form. So, seeing them in their hometown among a sea of philosophical competitors proved quite the comedic sight, but it was a challenge too. Has their heritage allowed them to one-up rivals? Or, have AAW lost their killer app? AAW Nightingale: AAW’s planar-magnetic Nightingale is a smooth-sounding monitor with a lightly warm tonal balance. It’s easy to listen to because of how laid-back it is, particularly in the upper-mids. Instruments span large, but they’re calmly projected. This goes for the low-end as well. The bass sounds roomy, airy and three-dimensional, though those expecting a planar low-end may yearn for more impact. Like the A1D and A3H, the Nightingale aligns the low-end a hair behind the midrange, but there is a clear mid-bass bias over the sub-bass. The latter is more reserved by comparison. Personally, I prefer listening to slower, simpler music with AAW’s Nightingale. 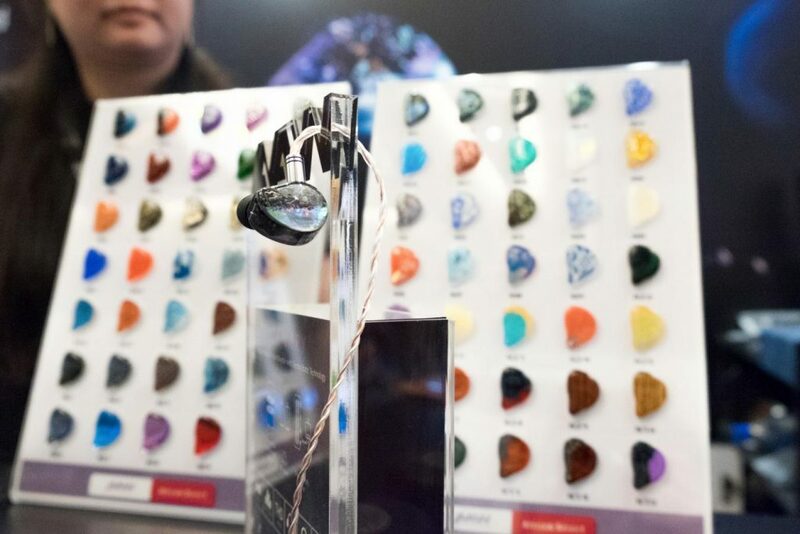 The in-ear’s calmness creates headroom, giving those recordings a spacious, effortless quality. My only qualm would be it in the upper-mid dip. Compared to more mainstream tunings, instruments may sound slightly nasal-y. That comes down to preference. With busier tracks or arrangements, I find the Nightingale lacking dynamic impact. It does not incite movement when listening to genres like hip-hop or rock. So, for those who prefer calmer, more relaxing genres of music, the Nightingale is one to consider. AAW Mockingbird: Of the four, the Mockingbird is one of two that clearly embodies AAW’s current house sound – the same one I heard with the A1D 2018 and A3H 2018. It possesses a neutral-bright tone driven by a prominent mid-treble. There are peaks perhaps at 8, 10 and 12kHz that bolster the top-end forward, providing clarity and air to the midrange, and definition to the bass. This is what gives the Mockingbird its crisp, brightly-hued top-end. Like the other in-ears, the bass isn’t overtly prominent or warm. It is more linear than the Nightingale’s, and it excels at impact due to extension. The midrange is well-balanced as well. It’s neutrally positioned and sufficiently bodied, while the low-treble takes care of articulation and vibrancy. Its negatives to me are in tone and refinement. There’s a persistent glare to the Mockingbird, particularly when it comes to percussion or higher-pitched instruments. The treble has a tendency of becoming brittle as well. Unlike the Canary’s e-stats, a bright haze tends to linger up top. But, if you enjoy the AAW house sound and you want further technical performance in stage expansion and imaging, the Mockingbird is a great option to consider. AAW Canary: The Canary is perhaps the most fun-sounding in-ear I heard all day. It possesses a neutral tone – a warm, hearty sub-bass meeting a crisp, crisp treble – and it’s fantastic for genres like pop, EDM and hip-hop. There’s a club-like, guilty pleasure quality to its sound that combines head-bob-worthy bass with crystal clarity. Now, tone is nowhere near natural. This is a highly-coloured sound meant to emphasise dynamic impact as much as possible. But despite that, the Canary does come together quite coherently; bound by the warmth of the mid-bass and cut through with top-end air. The electrostats definitely give it an edge over similar-sounding monitors in space and headroom. It’s an explosive sig set within a holographic, richly-layered and well-nuanced stage. So, fatigue or compression don’t set in as quickly. The low, middle and top-ends fill it sufficiently without one overshadowing the other. But, if realism is at all a criteria – for classical or jazz, especially – the Canary will not deliver. I find the emotionality of these pieces to truly suffer under the Canary’s coloured looking glass. But for maximum fun when listening to club music, I’ve hardly heard anything better. AAW ASH: The ASH is perhaps the most light, airy-sounding I’ve tried of the lot, but synthetically so through a raised upper-treble and a laid-back upper-midrange. 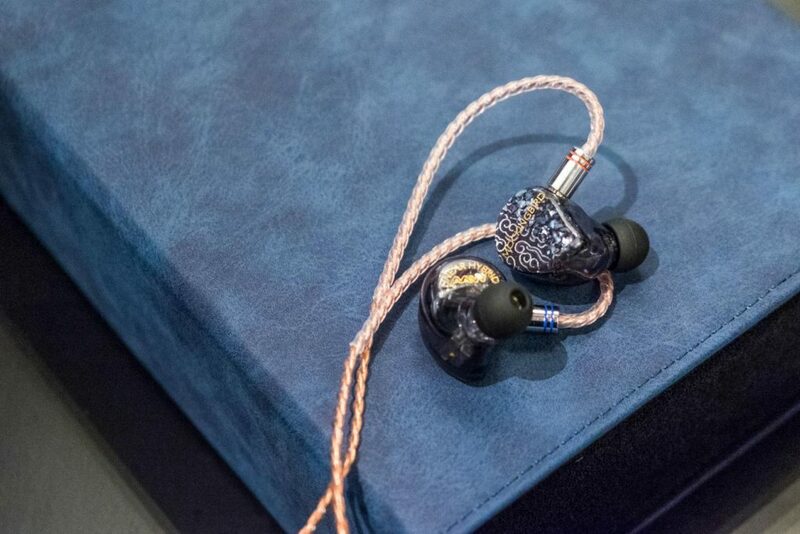 This is the other in-ear that’s adopted the AAW house sound through and through. There’s a pre-dominantly bright tone to the top-end. But, linearity makes the rise considerably more palatable. Detail retrieval is also a strong suit, because of how compact its notes are relative to the Canary and Mockingbird. The dynamic low-end provides a healthy rhythmic too – whilst contributing a hint of body to the midrange – although it again is more neutral in quantity. Oddly, I’d call the ASH a bright-yet-laid-back listen for treble enthusiasts. Those who don’t want an energetic response forced upon them despite a raised upper-treble will have the ASH to look forward to.